Quite a few football fans on social media have contributed to rumours of Croatia facing a ban ahead of their World Cup final against France on Sunday. Read on for more. Croatia outclassed England in a hard-fought semi-final tie on Wednesday to book a place in their first-ever World Cup final. However, the team from the Balkan nation could be banned from the quadrennial tournament, according to rumours floating on social media. Social media is filled with rumours of Croatia's possible disqualification and quite a few optimistic English fans seemingly fell for them as well. A Facebook fan page of the English football team also came up with a satirical post, saying that the ban was made official and the same can be confirmed on the BBC. The screenshots of the post have also been shared on Twitter despite the post carrying a funny disclaimer at its end. Google Trends data also revealed that "Croatia disqualified" and other related keywords were "breakout" topics over the last 24 hours. Even as such claims look completely baseless, Football.London cleared up the air and explained the controversial instances involving the Croatian football team that had led to the rumours. Check them out below. According to rumours, Luka Modric's men are in a spot of bother as Ante Rebic wasn't sent off despite receiving two yellow cards against England in Moscow. However, Rebic had received only one yellow card in the sixth minute of extra-time for sliding in from behind on Danny Rase. The confusion stemmed from the earlier episode in the second-half when Mandzukic was booked for showing dissent following a foul by Rebic. 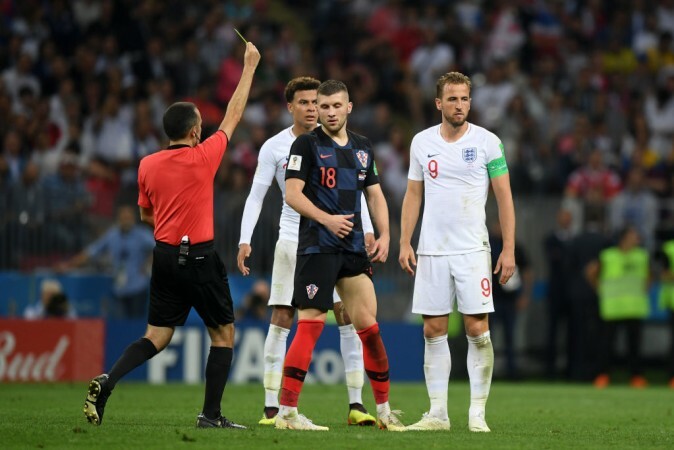 In the 48th minute, Rebic brought down Kyle Walker after which Mandzukic received a yellow for angrily punching the ball while reacting to the referee's decision. The players themselves were confused as to who had received the yellow card but the referee had clearly pointed at the striker. 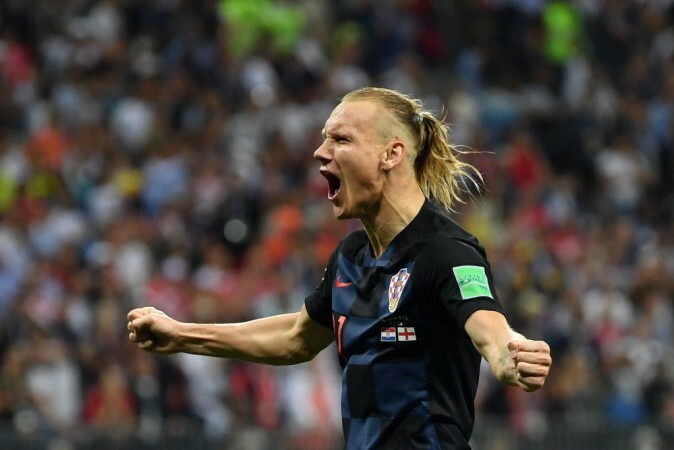 Another controversy surrounding Croatia at the World Cup rose after defender Domagoj Vida spoke in support of Russia's adversary Ukraine. In a video circulating on social media, Vida, along with Croatia's assistant coach, Ognjen Vukojevic, were spotted shouting "Glory to Ukraine!" after the team's win over Russia in the quarter-final. Vukojevic was sacked by the Croatian FA and was slapped $15,000 by Fifa. However, Vida escaped action after he apologised for his comments. Notably, the relationship between Russia and Ukraine have deteriorated since 2014 when Moscow had backed pro-Russian separatists in the neighbouring country, according to Reuters. Also, Fifa had reportedly warned the Croatian FA after its fans were found displaying "discriminatory" banners during their group game against Nigeria. A section of English fans is also unhappy with Turkish referee Cuneyt Cakir, who according to them, made "biased" calls against the Three Lions during the semi-final. Croatia are, without any doubt, set to face France in the final on Sunday while England take on Belgium in the third-place match on Saturday in St. Petersburg.